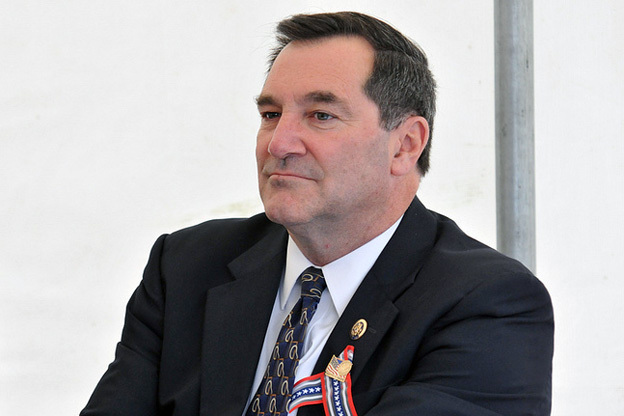 Before the recent vote was cast I sent a letter to my Senator, Joe Donnelly (D-IN) requesting that he vote against the Iranian Nuclear Deal with the letter I included Ginni Thomas’s Daily Caller interview with Sgt. Robert Bartlett a man who’s “face was ripped from the temple to the jaw and his gunner’s legs were blown off. He had more than 40 procedures done and he died three times, only to live to speak today.” This occurred while Sgt. Bartlett was serving in Iraq when his armored vehicle was blown up by an Iranian bomb. Do you want your name on it if it kills the country? Sargent Robert Bartlett was also featured in an ad calling for the Senators to reject the Iranian Nuclear deal. A Washington Examiner article titled “Donnelly, considered a swing vote, supports Iran deal” states what his decision was. I finally received a reply from the good Senator shown below. When I read it I got blah, blah, canned talking points, blah, blah. Please let me know if you see something else. Thank you for contacting me with your views on the Iran nuclear deal. The prospect of a nuclear-armed Iran is one of the most serious threats to our national security interests, and I have long-supported diplomatic efforts, including both talks and sanctions, to prevent Iran from developing a nuclear weapon. Since 2006, the United States, along with Great Britain, France, Germany, Russia and China (P5+1) have been engaged in talks with Iran to address concerns about Iran’s nuclear activities. In July 2015, the group announced a proposed final agreement, known as the Joint Comprehensive Plan of Action (JCPOA). The JCPOA bars Iran from producing or acquiring highly enriched uranium or weapons-grade plutonium for 15 years; permanently bars Iran from obtaining a nuclear weapon; and subjects the country to the most comprehensive and intrusive inspections regime in history. In addition, the agreement includes provisions to allow for the reinstatement of sanctions should Iran violate the terms of the deal. Prior to the freeze, Iran had the ability to produce enough nuclear material for a weapon in 2-3 months and was rapidly expanding its nuclear program with over 19,000 centrifuges; a stockpile of more than 11,000 kilograms of enriched uranium, including highly enriched uranium at the 20% level; and a heavy water reactor capable of producing weapons grade plutonium. Under the final agreement, Iran is prevented from ever developing or acquiring nuclear weapons and must also get rid of 98% of its stockpile of enriched uranium, two-thirds of its centrifuges, and the existing core of its heavy water plutonium reactor. These requirements increase Iran’s “breakout” time from just 2-3 months to 1 year, providing the U.S. and others with the time necessary to take whatever diplomatic or military action may be necessary to stop them. As Ranking Member of the Senate Armed Services Strategic Forces Subcommittee—a panel with responsibility for oversight of U.S. nuclear weapons programs and non-proliferation efforts—I studied the agreement closely. Throughout the process, I discussed the agreement in detail with U.S. officials involved in the talks, our military leadership, nuclear scientists, national security and foreign policy experts, and our allies around the world. In addition, I have also heard the views of Hoosiers across Indiana, both supportive and critical of the agreement. With or without this deal, the day may come when we are left with no alternative but to take military action to prevent Iran from crossing the nuclear threshold. The burden and danger would, as always, be on the shoulders of our servicemembers, who have and continue to put their lives on the line for our country. If that day does come, and I must take a vote on whether to authorize military force against Iran, I owe it to our Armed Forces and to the people of Indiana to have used all other options to stop Iran before we would consider putting any of our servicemembers in harm’s way. Despite having questions about Iran’s intentions, I am willing to give this agreement the opportunity to succeed. While I share the concerns expressed by the agreement’s critics about what may happen 10, 15, or 20 years from now, I cannot in good conscience take action that would shift the potential risks of 2026 and 2031 to 2016. That is why I recently voted against efforts to advance a resolution disapproving of the Iran nuclear agreement. As your Senator, it is my highest priority to protect the safety and security of our nation. I know this is an issue of great importance to Hoosiers and to our country. Please be assured that I will continue to work with my colleagues on both sides of the aisle to prevent Iran from obtaining a nuclear weapon now and in the future and to combat their support for those who would do us, and our allies, harm. It is a privilege to represent you and all Hoosiers in the Senate. Your continued correspondence is welcome and helps me to better represent our state. I encourage you to write, call, or email if my office can ever be of assistance. You can also check out my Facebook page and follow me on Twitter by visiting my website .